Maxfield will be playing with Lush Life: Philadelphia Celebrates Billy Strayhorn at the Suzanne Roberts Theatre on Friday, September 19th at 8:30pm. The show is part of the OutBeat Jazz Festival, Philadelphia's first LGBT jazz festival. 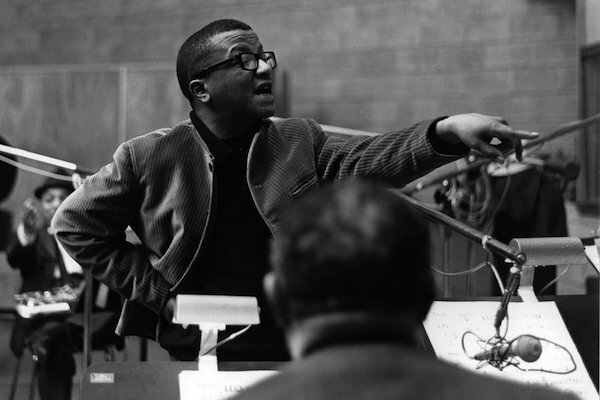 Lush Life: Philadelphia Celebrates Billy Strayhorn is a diverse, inter-generational tribute to Dayton-born, Pittsburgh-raised, pianist, composer and arranger, William Thomas Strayhorn. As Duke Ellington’s creative partner for over 30 years, the openly gay and unprecedented Strayhorn created such classics and standards of the Great American Songbook as “Take The A-Train”, “Satin Doll” and of course, “Lush Life.” As half of one of America’s most important musical collaborations, Billy Strayhorn penned some of the most enduring music of the 20th century. This event showcases some of Philadelphia’s finest musicians, vocalists and poets. The presentation is produced by the Philadelphia Jazz Project in conjunction with OutBeat: America’s First Queer Jazz Festival. The performance is built around the arrangements and conducting talents of bassist/composer Keith DeStefano and his exceptional octet, Puzzlebox. It will present re-imaginings of Strayhorn and Ellington’s work, as well as explorations of compositions by artists whom they influenced; including artists like Charles Mingus, Thelonious Monk, Gil Evans, Archie Shepp and David Murray. The William Way LGBT Community Center, with generous support from The Pew Center for Arts & Heritage, is proud to announce OutBeat: America’s First Queer Jazz Festival. The four-day festival will serve as the finale for the Community Center’s annual music series and highlight the intersections between sexual orientation, gender identity, and jazz history and culture. OutBeat will feature a vibrant and eclectic mix of world-renowned jazz musicians brought together to educate and entertain audiences with once-in-a-lifetime performances, panel discussions, and master classes.